During the middle decades of the seventeenth century, Londoners experienced civil war, revolution, plague and fire. Unsurprisingly, this period looms large in accounts of the early modern capital. It often features as the start or end point of social histories, or is studied alone (often in minute detail) by political historians. Yet why is this? Was this a turning point in the history of early modern London? Or does this periodisation have more to do with the nature of divisions between historians than a marked break in longer patterns of continuity and change between 1500 and 1800? My own interest is in understanding how social and economic developments in early modern London contributed to (and were in turn shaped by) the political upheavals of the 1640s and 1650s. Since the work of Keith Lindley and Robert Brenner in the 1990s, there’s been relatively little written on the social history of revolutionary London and its connections to political conflict. Yet I think there’s a growing realisation that there’s a lot to be said on this topic. The many-headed monster’s mini-series ‘On Periodisation’ really struck a chord with our readers, prompting an outpouring of comments both below the line and on twitter. I have captured many of these in this Storify – thanks so much to everyone who took the time to offer their thoughts, and my apologies to anyone whose comments I missed, but it was hard to keep up! The digested version is that comments tended to fall into three categories: those who were prompted to reflect on periodisation in relation to their own research; those who offered a transnational perspective; and those who added an interdisciplinary slant to the discussion. Whilst debates on this topic are a constant of historical research, social media has the benefit of creating a more diverse conversation which encourages broader perspectives and raises new complications. If the debate continues I intend to add to the story in due course, so please do join the conversation. On periodisation: two ‘early modern’ Englands? This is the fourth post in our new Monster Mini-Series on periodisation. Click here for the Series introduction. Last week I had the privilege of attending Laura Gowing’s inaugural lecture on ‘A Trade of One’s Own’. She told the fascinating story of women’s changing relationship with London and its livery companies over the course of the seventeenth century. It was a brilliant lecture in all sorts of ways, but what caught my ear was the way she implicitly divided her story into two periods. From my recollection, there were relatively few formal changes in the way the companies dealt with women over the course of the sixteenth, seventeenth and eighteenth centuries – yet Gowing showed that unofficial norms shifted substantially. Specifically, she showed that the number of women as mistresses and apprentices rose from the 1640s onwards and resulted in a new landscape in which – for example – about 40 percent of the shops in the Royal Exchange were owned by women by the end of the century. Although Gowing did not discuss the reasons for this shift in detail, she alluded to the disruptions of the Civil Wars, the rise of new women-made fashions such as the mantua gown, and the increasing preponderance of women among migrants to the metropolis. In fact, pinning down a specific cause may be impossible because the change seems to have been almost ‘over-determined’. In the middle decades of the seventeenth century, everything seemed to be changing. This lecture set me thinking about my own sense of periodisation. Laura has talked about start and end points for the ‘early modern’, Mark has discussed the question of ‘modernity’ itself, and Jonathan has addressed the thorny notion of a ‘Reformation era’. But what about the divisions within the ‘early modern period’, however defined? As Laura outlined in the previous post of this ‘monster series on periodisation, the term ‘early modern’ has – since the 1970s, at least in the history departments of UK universities – come to be seen as one of the ‘holy trinity’ of historical periods: the medieval, the early modern, the modern. But why? But to me the main reason why its rise to near canonical status seems a little odd is because of what it implies: that the sixteenth and seventeenth centuries are best understood as being on their way to somewhere else, or as a sub-period of modernity, rather than being a distinct historical period in their own right. But these kinds of ‘modernisation narratives’ – viewing the past as if the only story is the triumphant and inevitable march of all things towards the shiny here and now (more pessimistic forms of historical determinism are, of course, available) – were heavily criticised and fell into decline among historians at more-or-less the same time that the term ‘early modern’, with all its ‘modernisation narrative’ implications, was enjoying its assent. Very odd. On periodisation: or, what’s the best way to chop history into bits? This is the first post in our new Monster Mini-Series on periodisation. Click here for the Series introduction. There are many different ways to divide the past up into analytical chunks, but some ways are more popular than others. In this post I offer a brief overview of some of the most common periodisations. It is of course a broad brush summary with a tendency to generalisation. Please do flesh it out with your own comments and refinements below the line – we have had a great response to the series on twitter and I will be collating many of these contributions for a later blog. Starting with the simplest division: if you are short of time, the strongest chronological distinction often appears to be between the modern age, and all the stuff that happened before it. 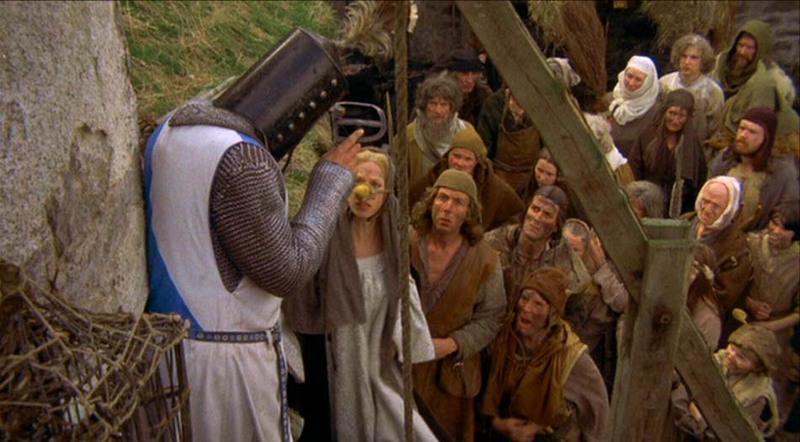 You know, when everyone was blindly superstitious, 99% percent of the population spent their lives covered in sheep poo, there was no electricity, no penicillin, no roads and subsequently a bunch of kings ordered everyone about whilst riding over-mighty dragons. Or something. Sometimes undergraduate ‘survey’ modules are organised along these chronological lines: at Exeter the ‘pre-modern’ module covers c. 500-1750; the ‘modern’ module covers 1750-present. Pre-modernity: knights, witches, muddy peasants and that sort of thing. Of course this rather oversimplifies things. Europe in 700 didn’t look or feel anything like Europe in 1700. The divide also massively prioritises the last 200 or so years of history and diminishes the previous 1,300. It is a useful shorthand for showing potential undergraduates the breadth of your teaching programme or identifying yourself at a multi-disciplinary event, but not much more. This is the introductory post to our new occasional Monster Mini-Series on periodisation in history. In a series of related blogs we will be exploring historical chronologies, examining the ways in which we chop up the past into more digestible chunks. We are interested both in how we do this, but also why, and what the consequences are for both how we conceive of the past, and how this in turns effects the organisation and practice of the discipline. The University of Exeter’s community day: What does early modern mean, and who is this strange horned and hoofed man? I quite often find myself needing to explain what period of history I work on, and it isn’t always straightforward. For example, my students are often not familiar with the term ‘early modern’ and remain convinced that anything that isn’t modern is ‘medieval’. 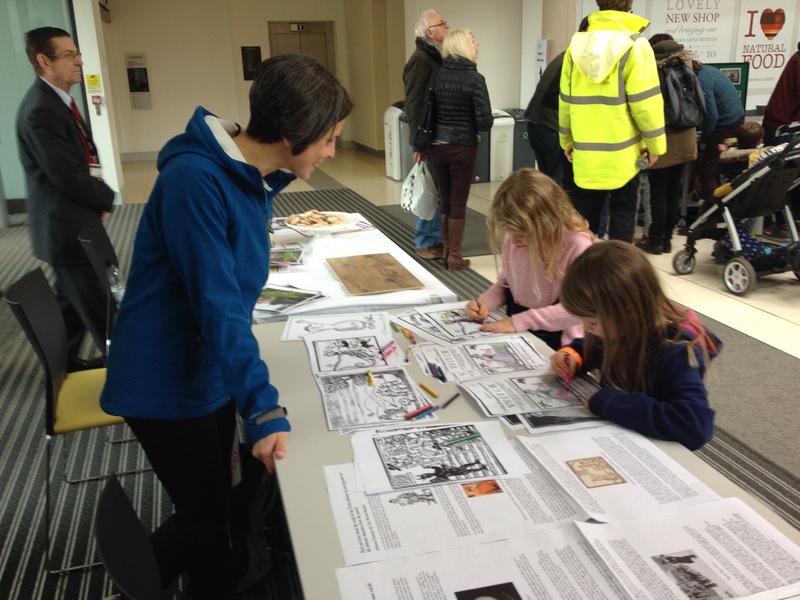 At the University of Exeter’s recent Community Day, one of the most popular questions from visitors to the ‘Centre for Early Modern Studies’ stand was: what dates / centuries / years does that refer to? (In case you are interested, the other top question was: ‘what’s the devil’ from children colouring in woodcuts of said infernal being). This is an issue that has a bearing on the many-headed monster too. We self-identify as an early modern blog, and the Monster’s tagline is that we offer “‘the history of ‘the unruly sort of clowns’ and other early modern peculiarities”. Whilst fellow academics might have a grasp of what that means, the blog aspires to reach an audience beyond professional historians, to whom the term may appear rather opaque.